As the story goes, when the Jews went to relight the menorah, they only had enough oil for one night. However, the oil ended up burning for eight nights, thus allowing them to complete the rededication. Because of this miracle, foods associated with Hanukkah (also spelled Chanukah) are often fried in oil. 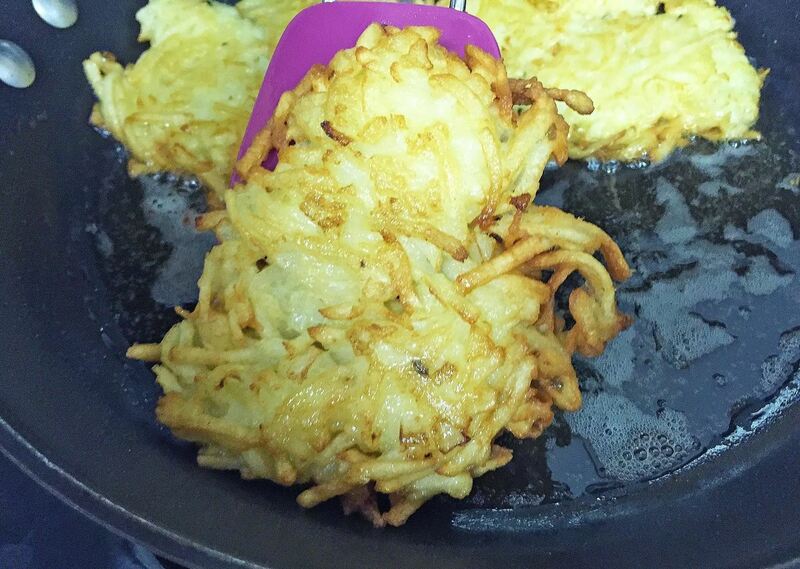 When I discovered Simply Potatoes Shredded Hash Browns, it literally changed my latke-making life! No longer would I be forced to grate potatoes (and, usually, some of my knuckles) to make everyone's favorite Hanukkah treat. 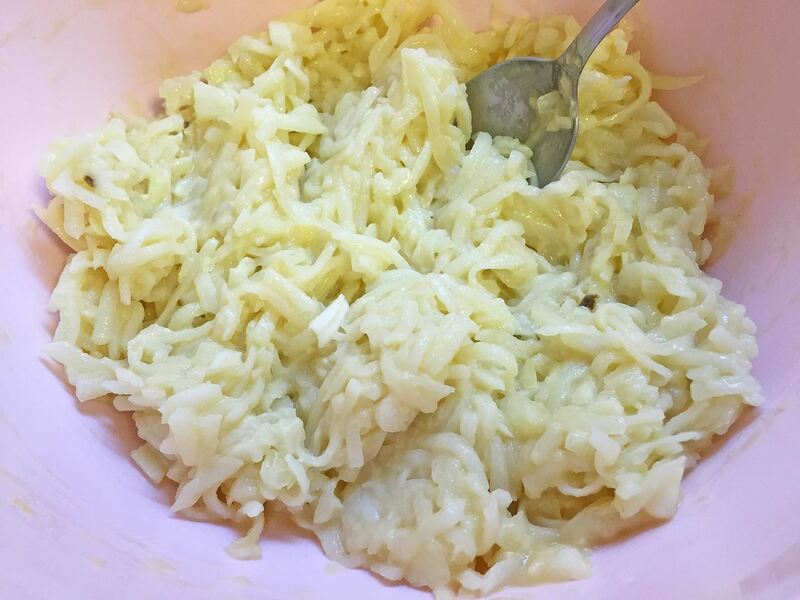 These pre-shredded potatoes are found in the refrigerated section of most major supermarket chains (as well as Target and Walmart). If your store doesn't carry them, you can grab any package of frozen, shredded hash browns—the organic ones work best—and let them thaw in your refrigerator. 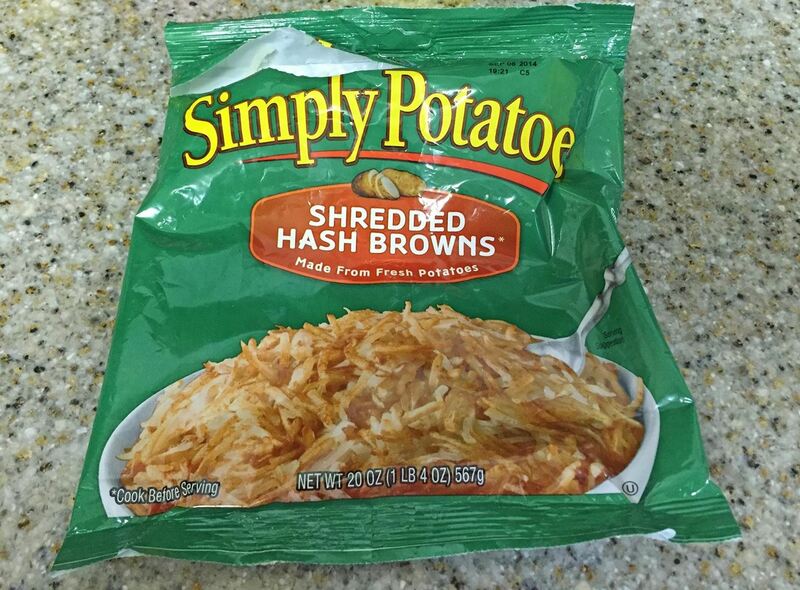 (Disregard the instructions on the packaging to warn against thawing in the fridge; since we're not making hash browns, it's okay for the shredded potatoes to lose their hash brown shape.) Just make sure that you use a clean dish towel to squeeze out any water that has accumulated during the thawing process. In a large bowl, toss the potatoes with the baking soda. Add in the flour, salt, onion, and eggs, then mix thoroughly. If you aren't going to be frying your latkes right away, you can add in a teaspoon of fresh lemon juice to keep the mixture from browning. Over medium-high heat, heat about ¼ inch of canola oil until the surface shimmers. To test if the oil is hot enough, drop in a small bit of the latke mixture. If it sizzles, you are good to go. Using a large kitchen or tablespoon, dollop the latke mixture into the oil and flatten the mound out with the back of the spoon. Fry until the edges start getting golden brown, about 4 minutes. Then, using the spoon and a flexible, heatproof spatula, flip each latke carefully. Fry until the other side is also golden brown, another 4 minutes or so. When the latkes are fully cooked, put them on a cookie sheet lined with a paper towel or paper grocery bag. Put the cookie sheet in a 170°F oven to keep warm, and repeat the process until all of the potato mixture is used up. 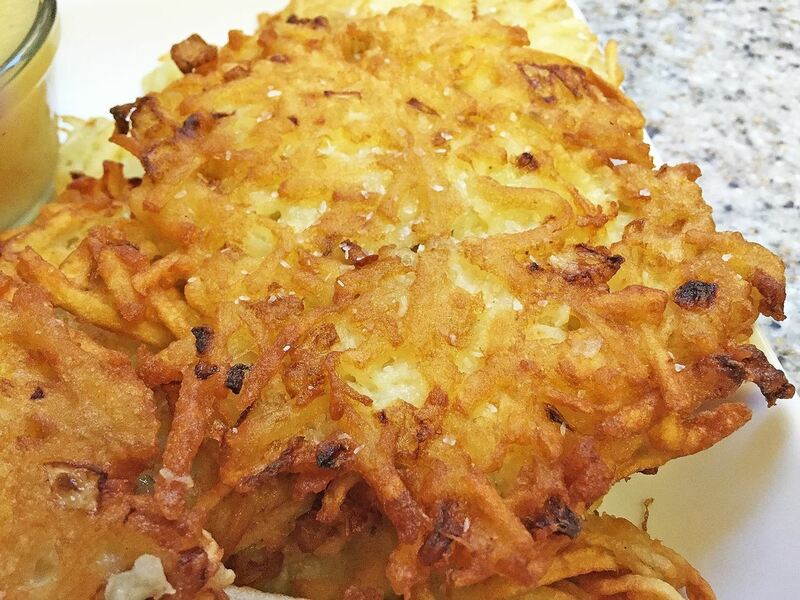 But first—what would you like with your latkes, bubbeleh? 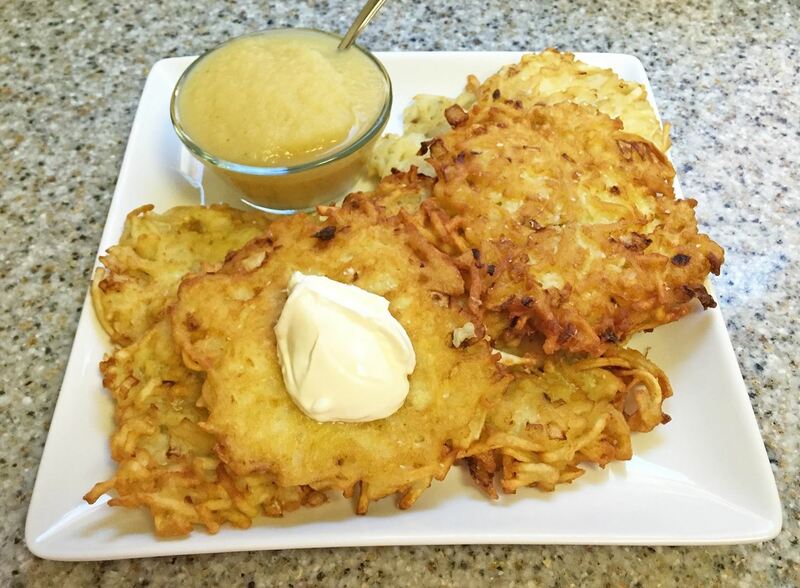 Latkes are traditionally served with applesauce and sour cream. Some people eat just one of these condiments, some people eat both but not together, and some people even eat both sour cream and applesauce on the same latke. 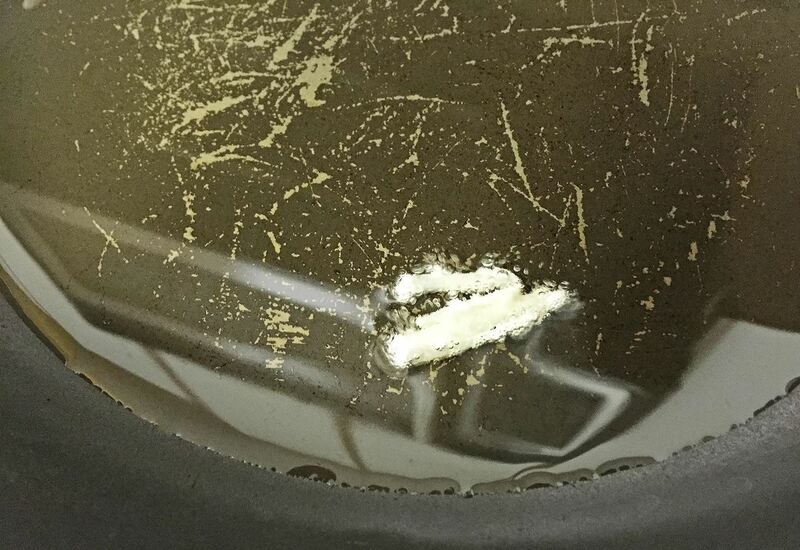 As for me, I like just a little pinch of salt to bring out the extra tang in the onions. 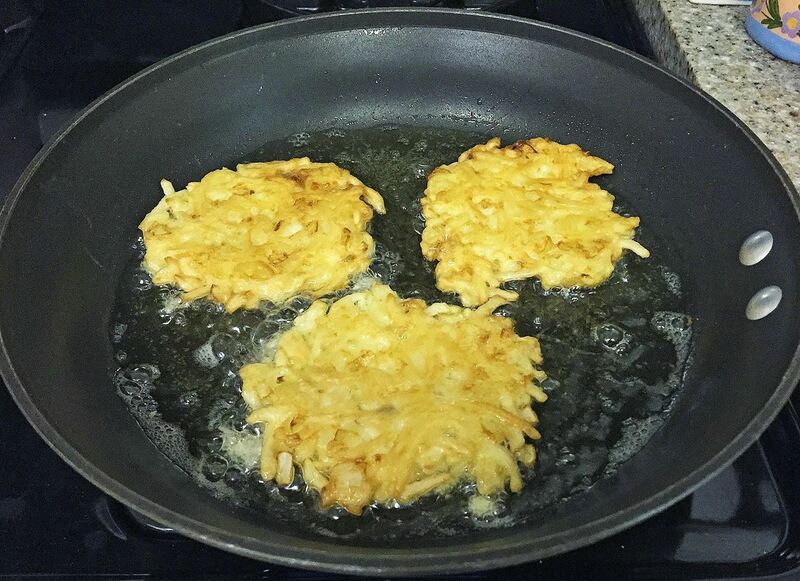 However you like your latkes, you'll be enjoying them much more quickly and easily now that you know my secret. B'tayavon (Hebrew for "bon appètit"), and Happy Hanukkah!